Georg Jensen's Cafu collection epitomises the beauty of minimal Scandinavian design. 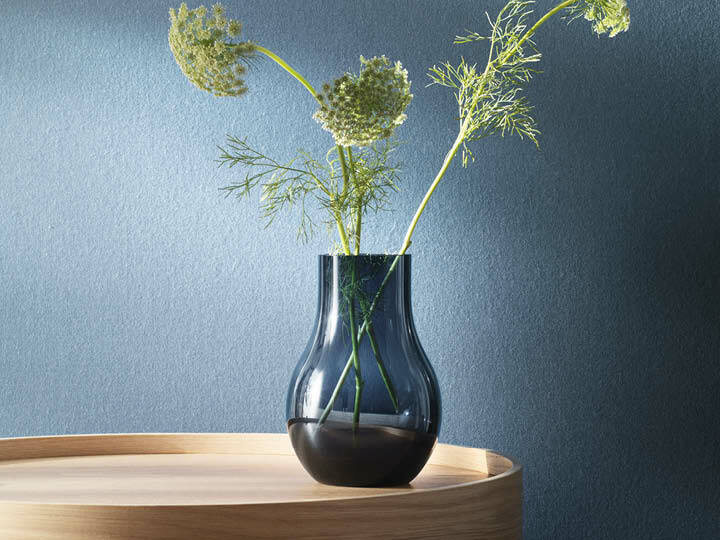 Organic shapes of blue glass, steel and gold form vases and bowls that look as good on their own as they do when full. CAFU candleholder, medium, stainless steel, 2 pcs. CAFU tealight holder, stainless steel, 2 pcs.